Welcome to the Pillow Talk Blog Hop : Day 15. If you are new to my blog, here is a little background on what has now become quite the family affair… My mom and I started this whole venture about two years ago, right after I had finished a grad program up in graphic design. I was unemployed for a depressing 5 months… and it was during this period that our ideas started hatching. I’ve since moved up to Pennsylvania and we’re now doing the majority of our work over the phone. Luckily, we’ve found that most of our tasks can be divided up… And they are as follows. 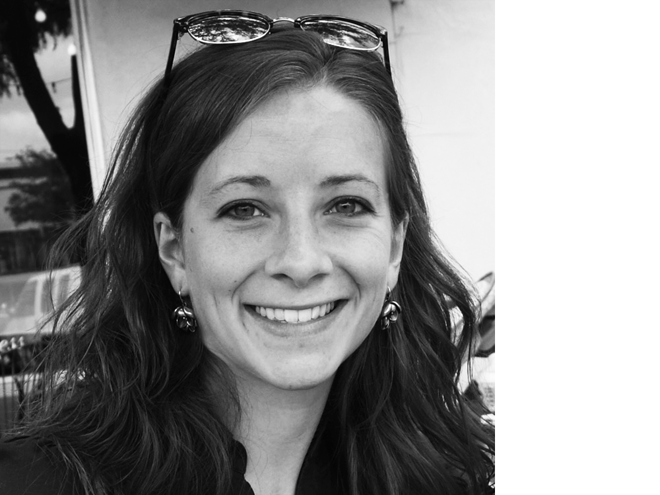 Jessi: She’s in charge of all of the initial concepts/sketches for our fabric lines, as well as all of our quilt pattern designs (which includes writing the instructions, sketching the diagrams, and testing each of the patterns). She also likes to yell at me over the phone. A lot. Prior to our pattern business, she was working with her best friend and neighbor, Connie Flora. 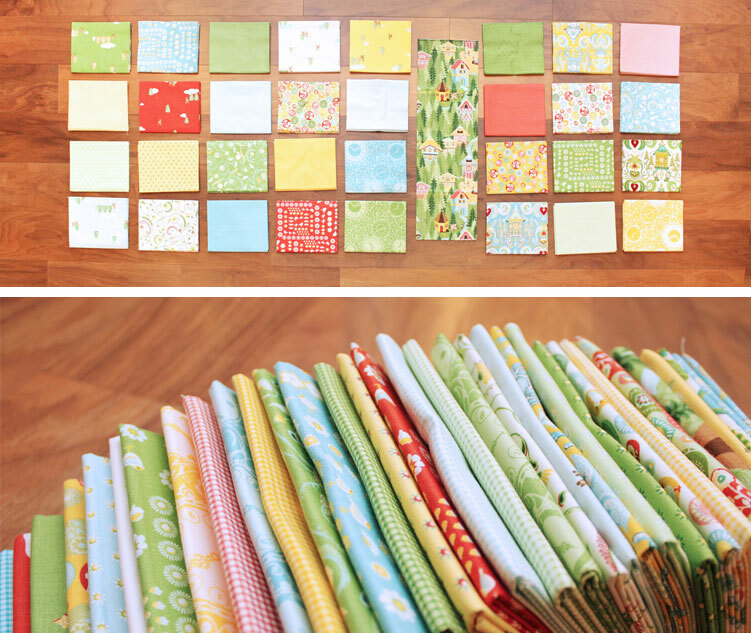 They designed the quilt planner named Plan Bee for Prym Dritz as well as creating their own series of quilt patterns. 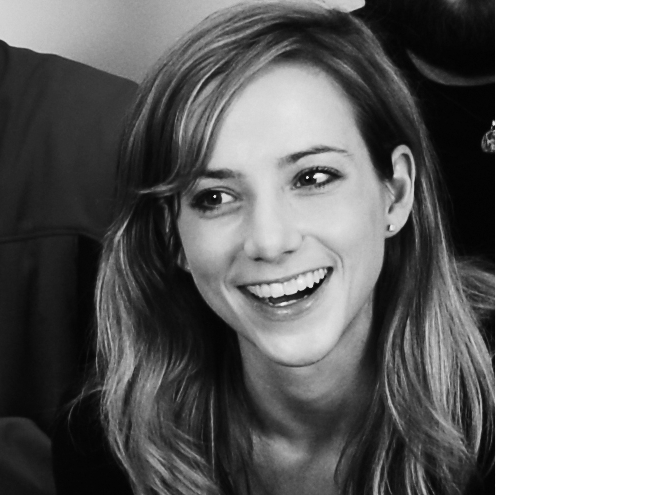 Lauren: I work in Cranbury NJ as web designer at a software company. I also do a lot of freelance web work as well as our own fabric site… I put the entire thing together myself… which was hard!! I’m learning how to do some basic website coding, thanks to the awesome group of guys that I work with. (Thank you Ambrose, Ed… and sometimes Devin and Brian! Even though Devin and Brian have on occasion, caused me to cry myself to sleep after claiming that some of my designs have made their eyes bleed… not exactly constructive criticism…) In addition to the website stuff, I format all of our quilt patterns and create the ridiculously meticulous illustrations that accompany each instruction. Carrie: My younger sister, Carrie, was recently dragged out to Albuquerque, NM with her husband Jon who got a secret job for the government. Carrie is very bored now. And well, my dad is sort of in on it too… he’s in charge of anything that involves math. Rudy is our dog, and we love him more than people should ever love their pets. (I say this because my mother mentioned once that she would jump in front of car to save him… Which, I don’t know… sounds a bit unhealthy to me. But can you really blame her… Look at him!!) Anyway. Rudy thinks that he is our guard dog. (Yes I know… he’s a very tough looking little Westie.) He sits up at the window seat in my parents living room and scans the front yard for any suspicious activity. He’ll then bark and warn us if anyone is up to no good. So this pillow will at some point become Rudy’s guard dog pillow. That he can lean on while he’s keeping watch by the window… Perhaps a bit of a stretch, but that’s our story and we’re sticking to it. We especially like this pattern because it helps to show off our hilltown pattern. This particular pattern is extra cool because it has a bunch of little secrets hidden within the landscape. If you look hard, you’ll see a chimney sweep, a little fisherman catching a fish, a waterwheel, some deer, a little bridge with children playing nearby, a bum with a liquor bottle up in a balcony, Rudy (our dog) is in the town square, a quilt that is hanging up on a washline… and more. It’s quite a lot of fun! With that in mind, the window theme seemed like a natural choice. I mean how cool would it be to look out your window each day to see this awesome little town. You can download the pattern for free here. It is one of 6 free patterns that we have available on our website! You can view all of them here. Also in the spirit of free stuff, my mom and I are giving away full fat quarter sets of Hideaway to TWO lucky winners. All you have to do is leave a comment on this post. We will announce the two winners in a week! If you don’t know how to comment… Don’t worry! Blogs are confusing sometimes. Up at the top of this entry, click on the title. This will take you to the area where you can comment. At the bottom of the page you will see a comment box where you will then be prompted to post your comment, your email address and your name. Then just click “Post Comment”. And that’s it!! You’re done! LAUREN / I CAN’T cook. In fact, I’ve been known to burn Ramen noodles (permanently adhering them to the bottom of the pot), turn quiche into quiche soup, and thoroughly botch the process of making a grilled cheese. JESSI / I know sign language. I had to learn it for my first job at the South Carolina School for the Deaf and Blind. LAUREN / When I actually have free time… I LOVE to watch my retro detective shows: Magnum PI, Simon and Simon, Murder She Wrote, and Matlock. JESSI / Solving the worlds problems with the company of my best friends and a cappuccino (and maybe a little bit of chocolate). What do you sleep in – PJ’s or NightGown? LAUREN / I’m partial to black exercise pants and a wife-beater. JESSI / Any flannel PJ pants and a t-shirt. What kind of pillow do you like, Hard or soft, foam or feather? And why? LAUREN / I can sleep on just about anything… a brick floor would be no problem for me. It’s almost like a super power. JESSI / I like hard pillows, and I am allergic to down, so that eliminates the feather option. Also, I love flannel pillowcases almost as much as flannel PJs. When you were young did you sleep with a stuffed animal? If so what? LAUREN / I used to sleep with a stuffed polar bear that I cleverly named “Bear”. JESSI / I slept with my real miniature poodle, Martini. I’m not sure how much he liked the sleeping arrangement though. LAUREN / On the weekends I don’t get out of bed…so all of the above… and then some. JESSI / I stay in my studio until I can’t keep my eyes open. How many nights have you or your spouse spent on the couch? LAUREN / I don’t have a husband… yet. So only time will tell. JESSI / My husband, Chip, has a bad habit of falling asleep on the La-z-Boy most nights. LAUREN / When I was younger, my dad used to put me to bed with a glass of water that he called “Super Water”. The term stuck, and I still REQUIRE a glass of “Super Water” before bed. JESSI / I’m not much of a drinker, but I do love a little bit of chocolate at night. LAUREN / Most definitely a night owl. I think I’m nocturnal. JESSI / Since I discovered fabric designing, I’ve been a night person. JESSI / I would love to hit Lauren with a pillow when she doesn’t do what I say. Kidding! Sort of. Thanks again for stopping by. Don’t forget to enter our giveaway by leaving a comment on our post! And if you liked our blog, stop by our Facebook Fan Page and click LIKE up at the top of the screen (beside our names). The next stop on the Blog Hop is Sweetwater! Oh, and… if you want to see the entire line… check out our fabrics page on our website!! This entry was posted in Hideaway and tagged Fabric Line, Hideaway, Patterns, Projects. Bookmark the permalink. Post a comment or leave a trackback: Trackback URL. I love your Hideaway line it’s darling! It’s my favorite perk of working from home! So fun to see your blog. I will come back again and again. Really like the Hideaway fabrics, as well as Botany. Is there a Hummingbird visiting one of those cute buildings? I enjoyed very much reading your Pillow Talk Blog entry, you do have a knack for writing as well as designing. Looking forward to your new fabrics. Thanks much for the good time, and free patterns. Thanks for a great post and for participating. I’d jump in front of a car for my dogs. Took on a guy who roared onto MY property in a truck and almost ran over my dog – he ended up yelling at my husband for help. Anyway, thanks. 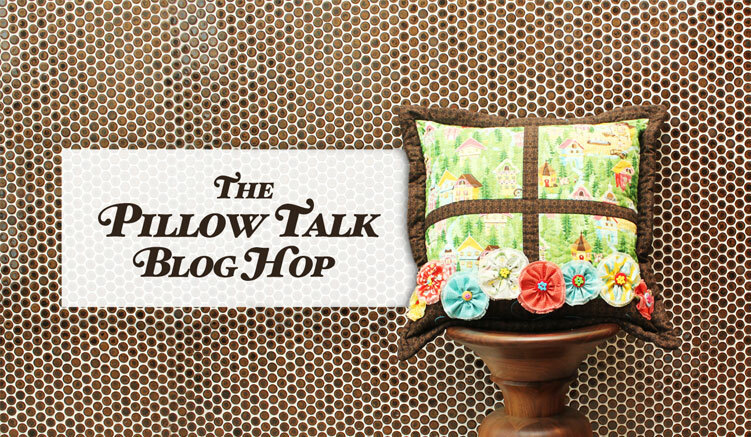 I’m so glad that I found your blog thru the Pillow Talk blog hop! You’re my kind of blogger! And your fabrics are too cute. I love to play Where’s Waldo on my fabric! you web site is a bit more than I am used to,alot happening, so hi tech. I have not found your fabric in any stores around me, I would LOVE to be able to touch & feel. I love the look. Adorable. 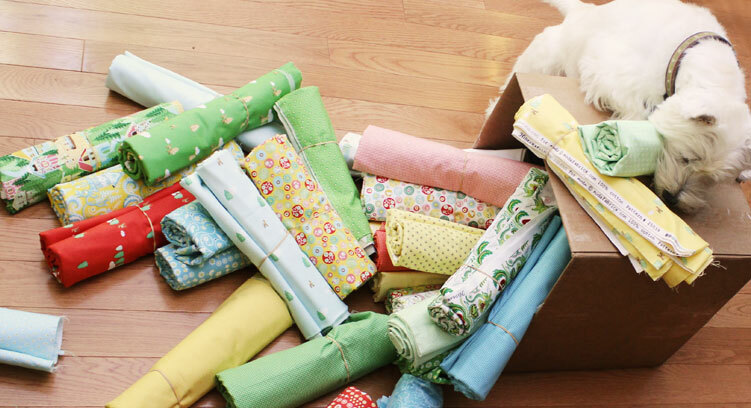 I love this line of fabrics and can’t wait to get them into a fun quilt! Love, love, love the family-liness of your story. Sounds like a good place to be. I picked up a ‘short stack’ of Hideaway fq at my lqs as a treat when I was having a bad week. I have used them in a couple of project. 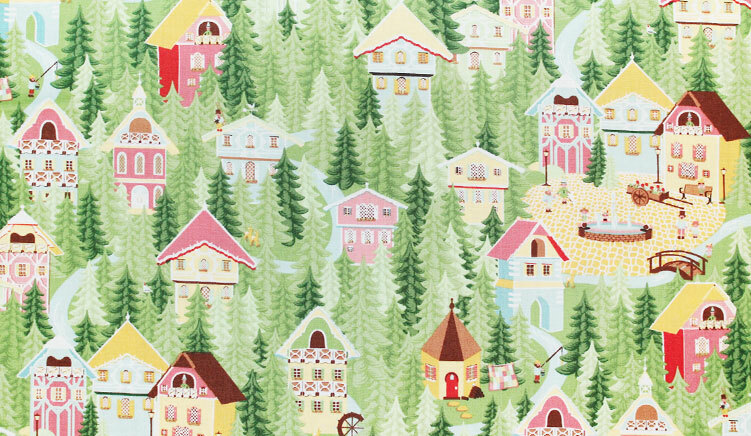 I love the hillside town, but also the other prints. So cherry and pretty! I loved your post. Lauren, you crack me up. Plus, I also like to sleep in a wife-beater, but with flannel pants. Love the fabric. Thanks for the chance to win. 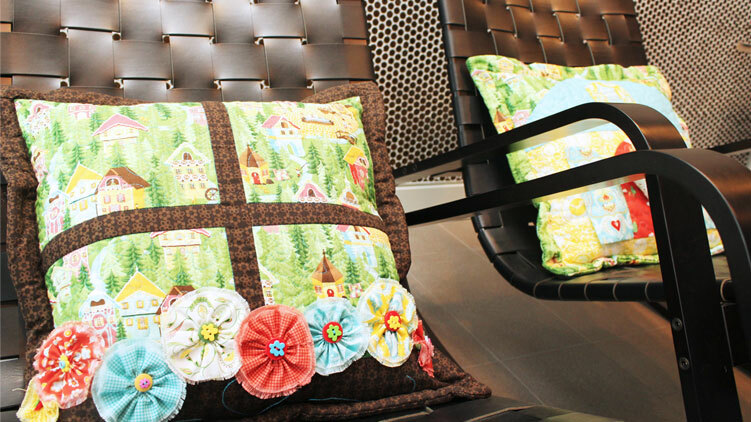 What a pretty pillow and beautiful fabrics! Thanks for a chance to win! I’m a fan on FB.